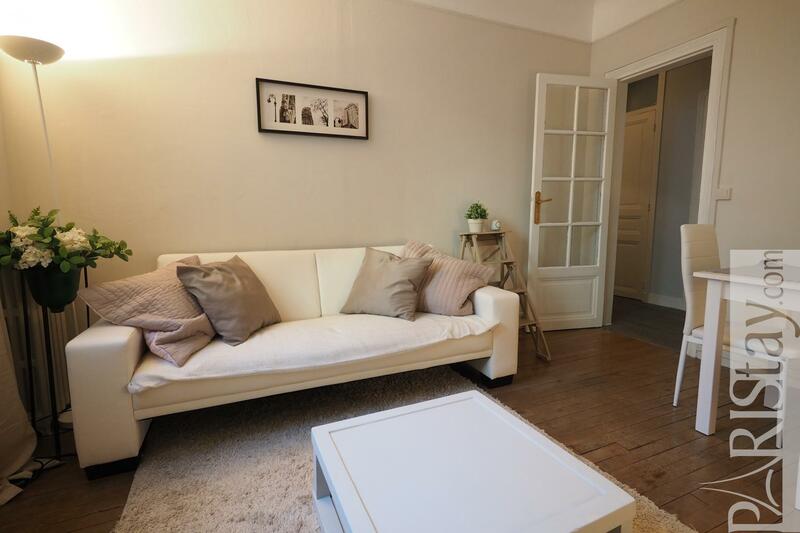 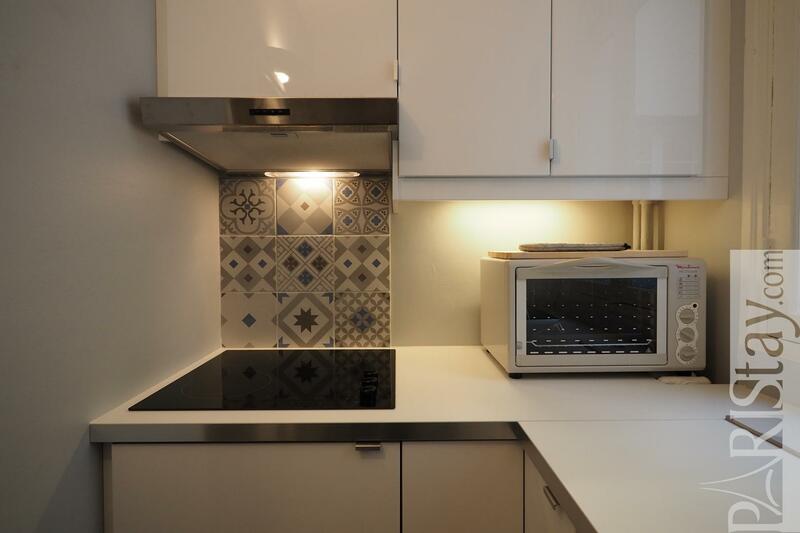 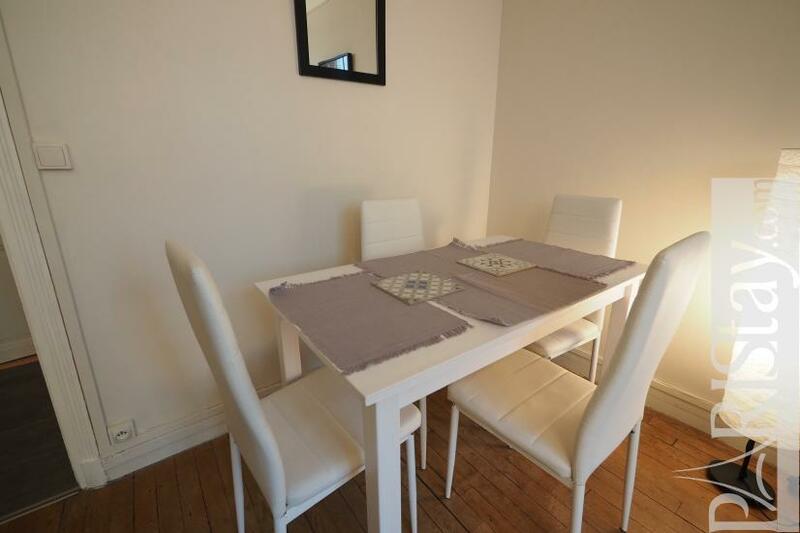 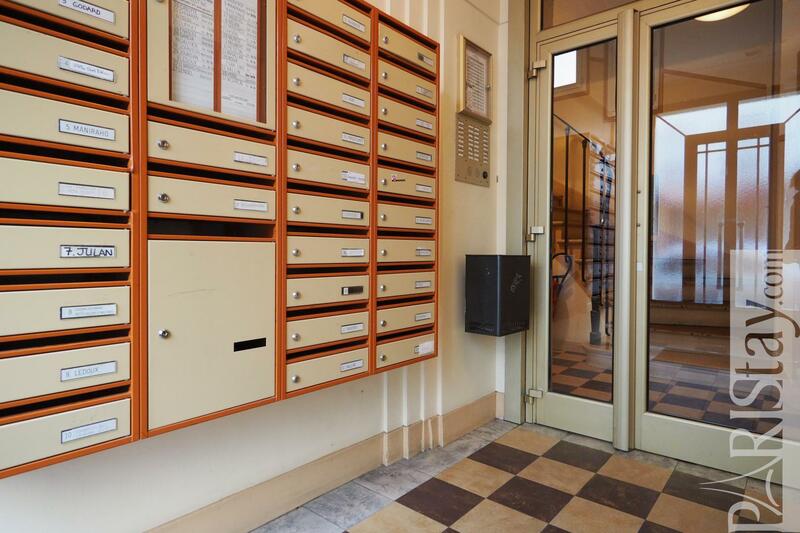 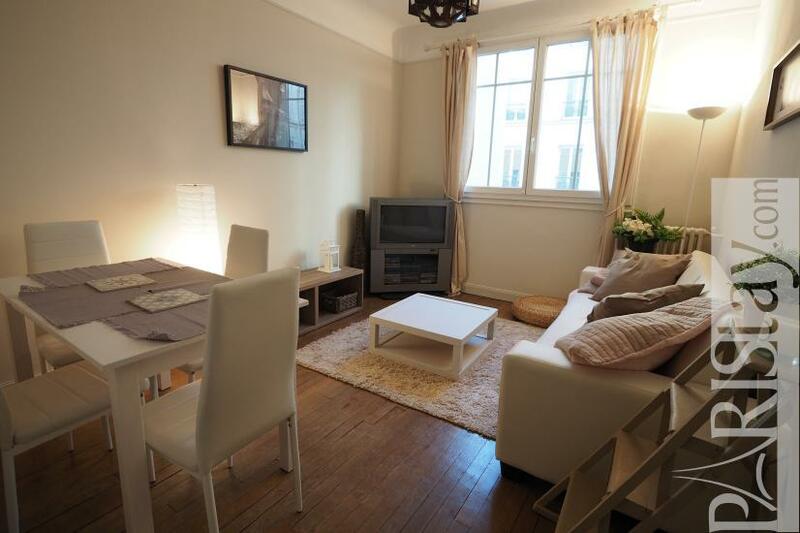 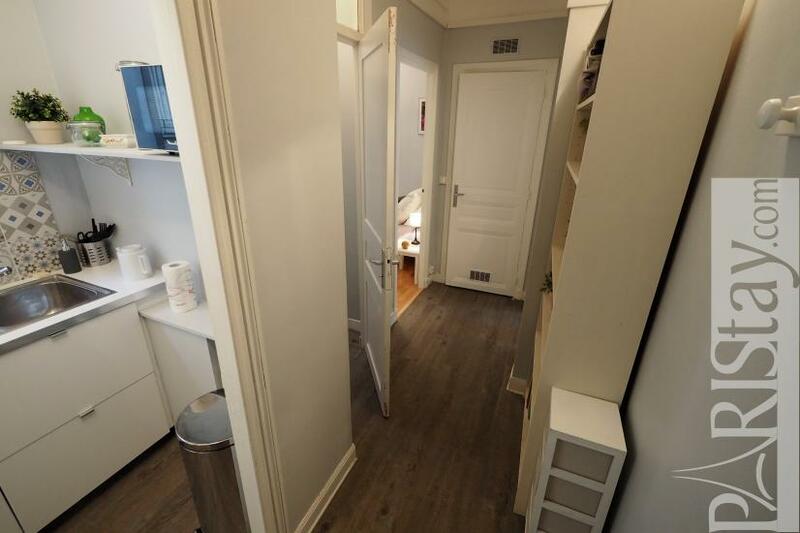 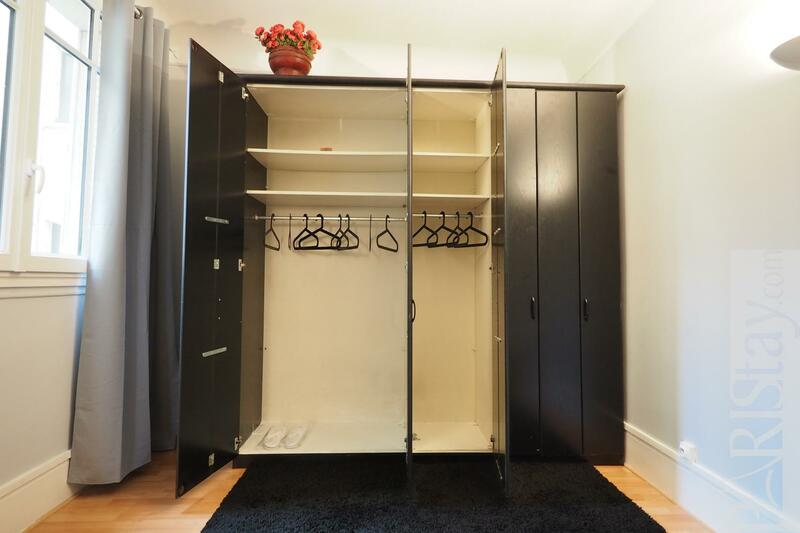 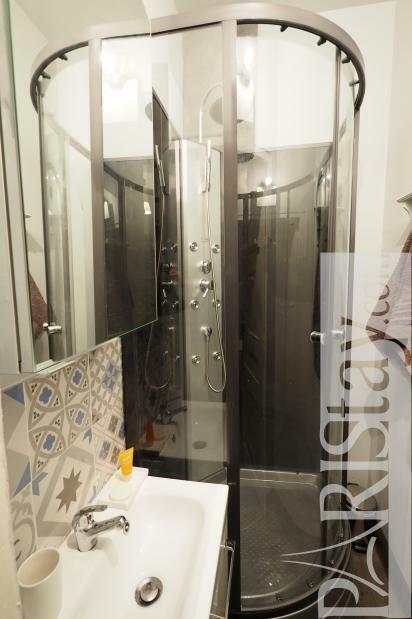 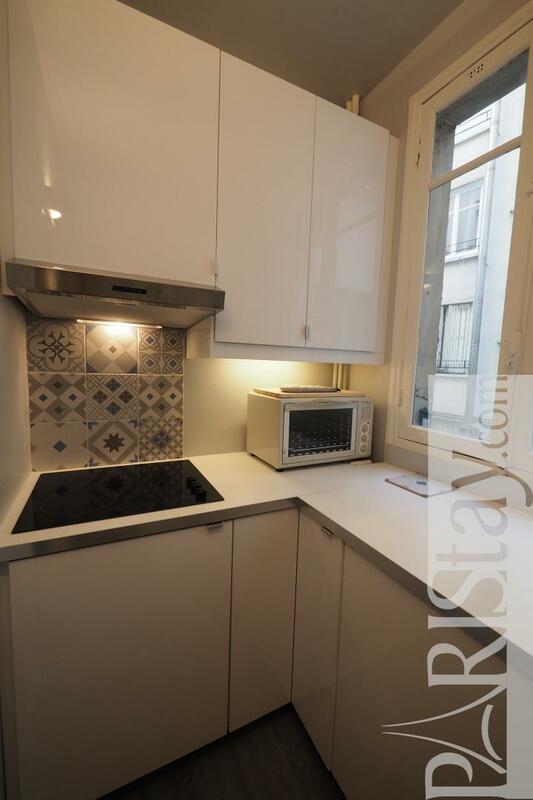 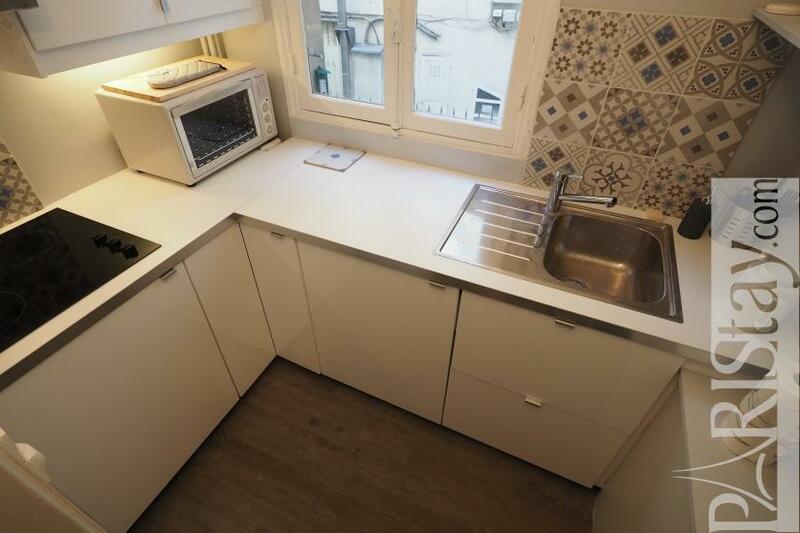 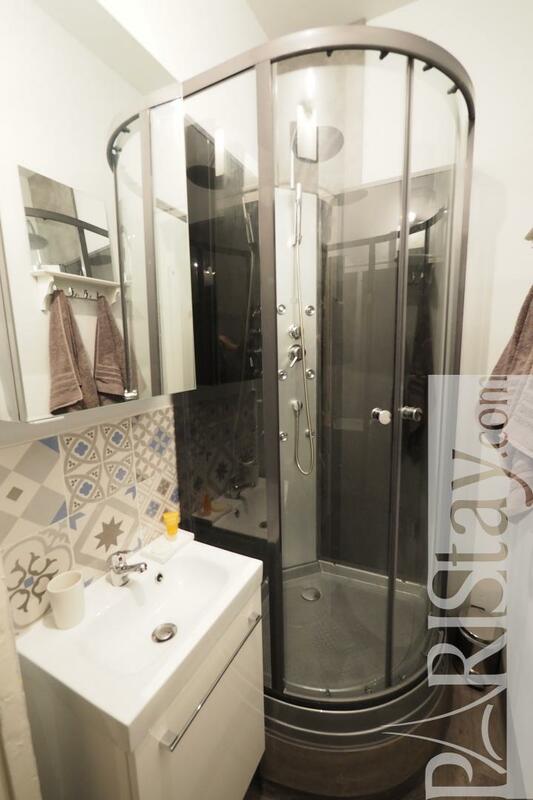 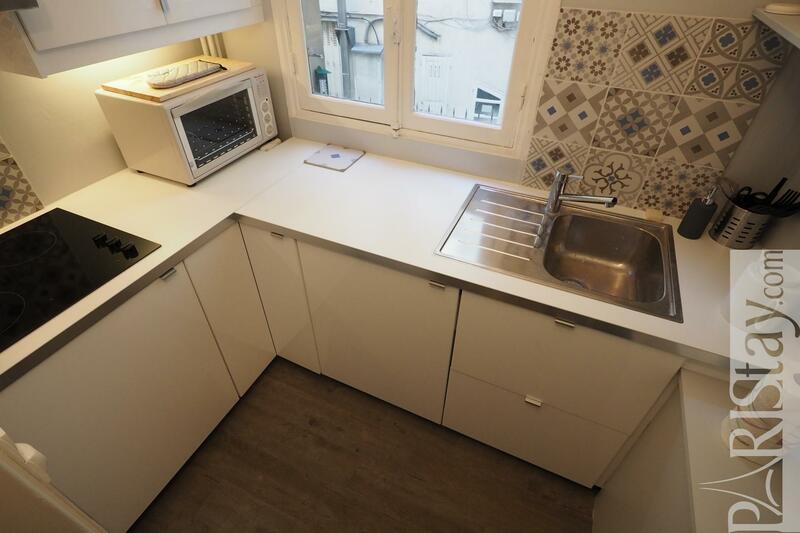 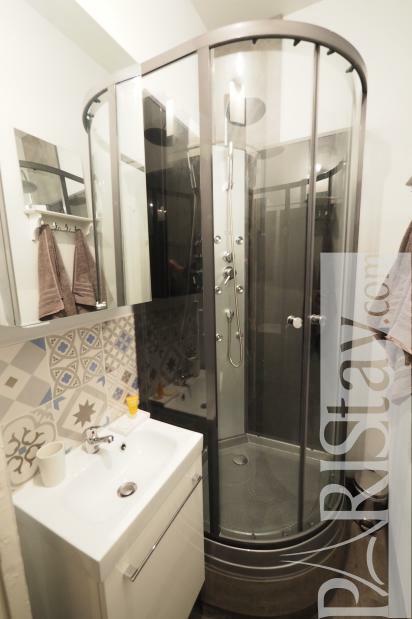 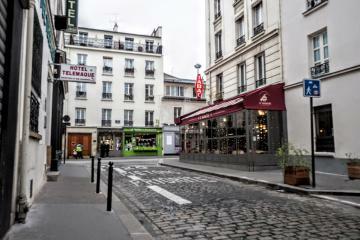 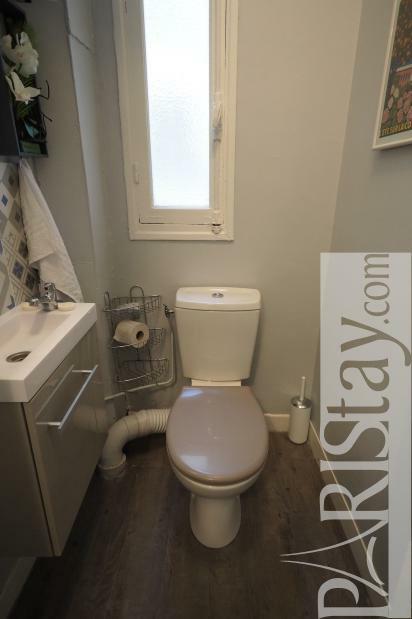 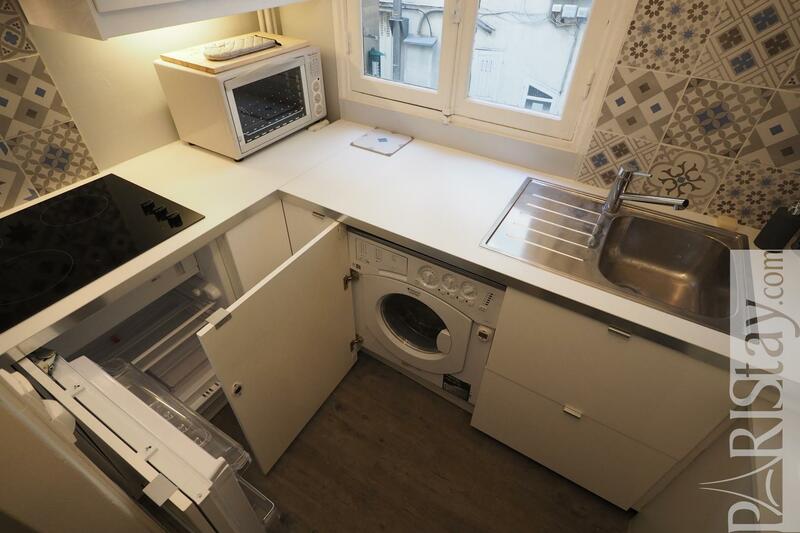 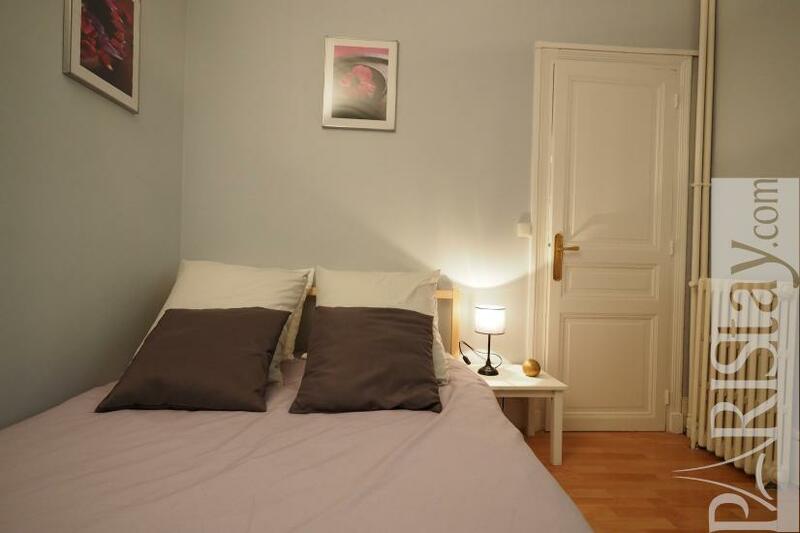 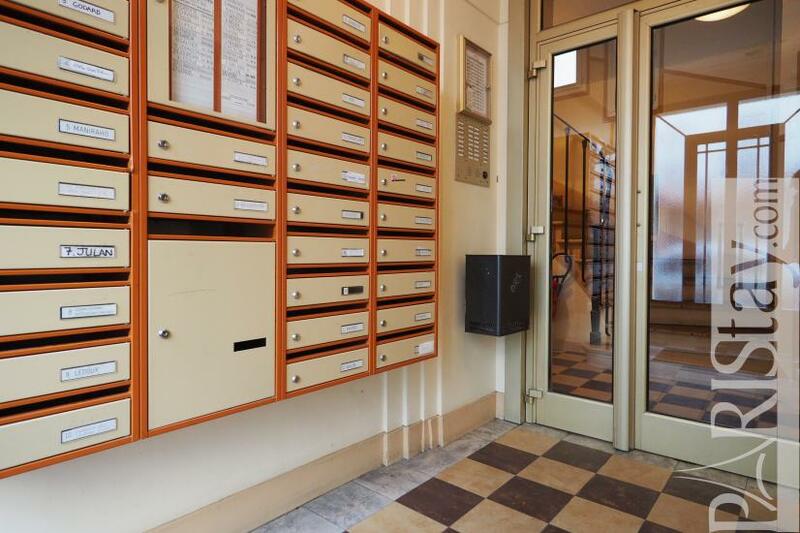 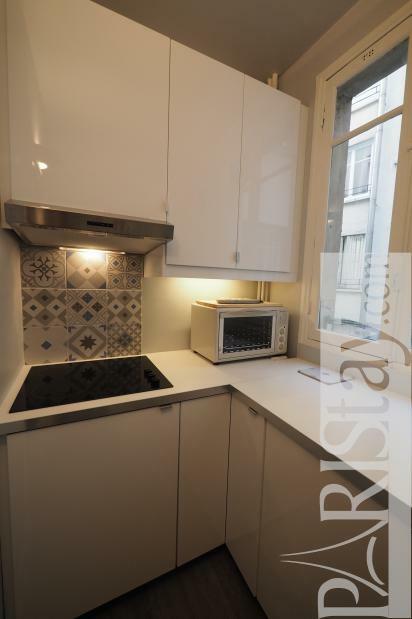 Charming Paris one bedroom apartment for rent located in the Montparnasse district, at a 10mn walk from the Air france bus terminal from airports (Gare Montparnasse), and close to the lovely and lively Daguerre village (Many typical french food shops, bars and restaurants). The apartment is situated on 1st floor of a residential building. 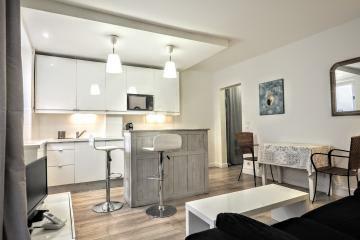 It has been tiotally renovated and tastefully decorated in a contemporary spirit. 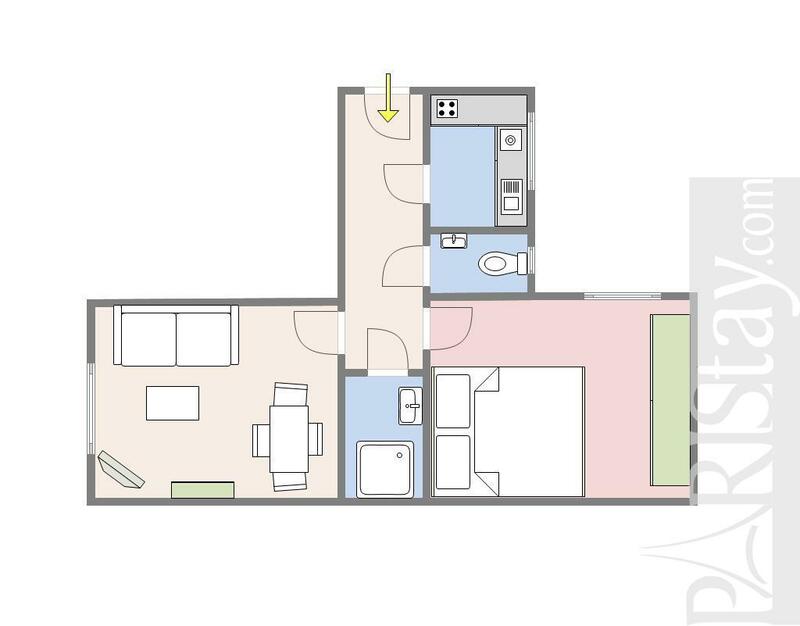 Cosy living room offering a dining table that seats 4 people, quiet bedroom on the courtyard with a large cupboard, equipped kitchen, shower room and separate toilet. 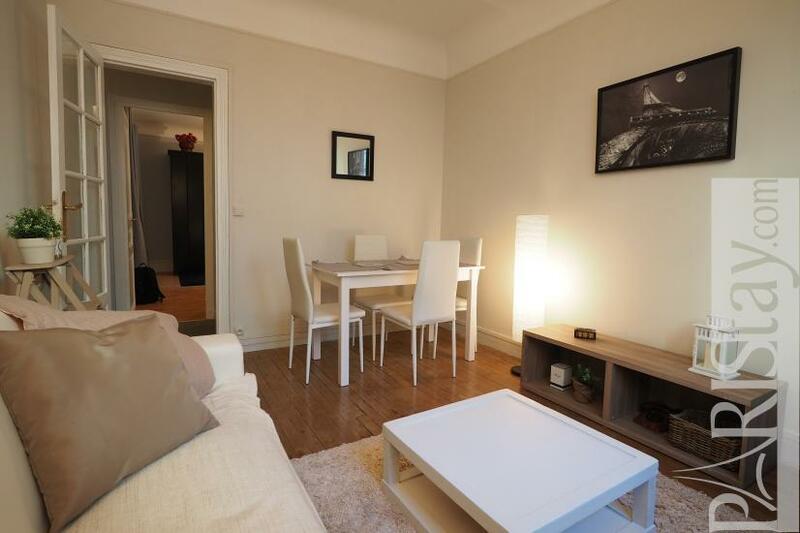 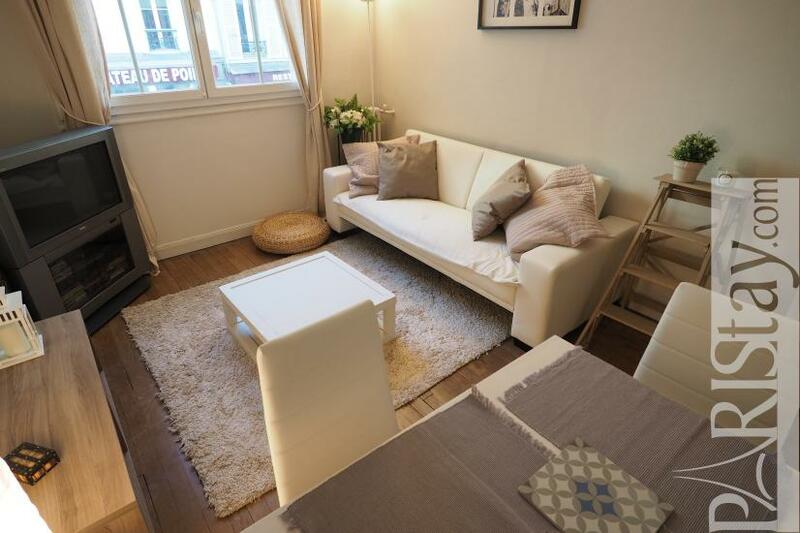 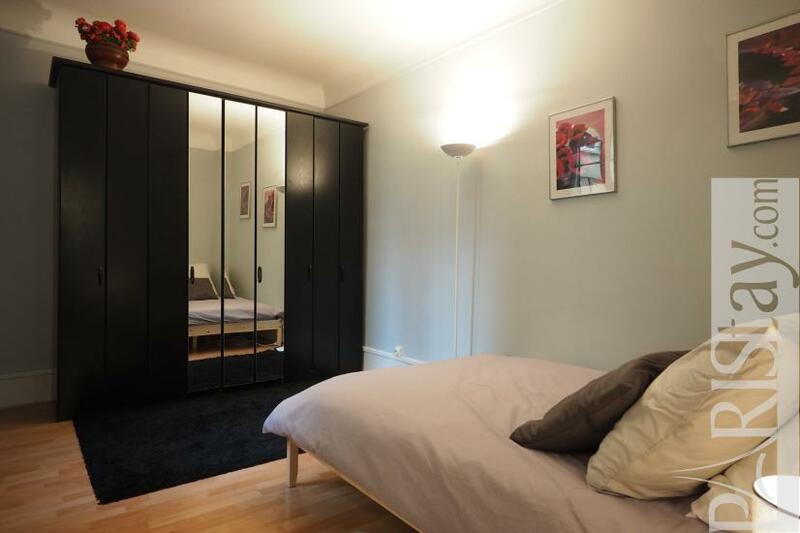 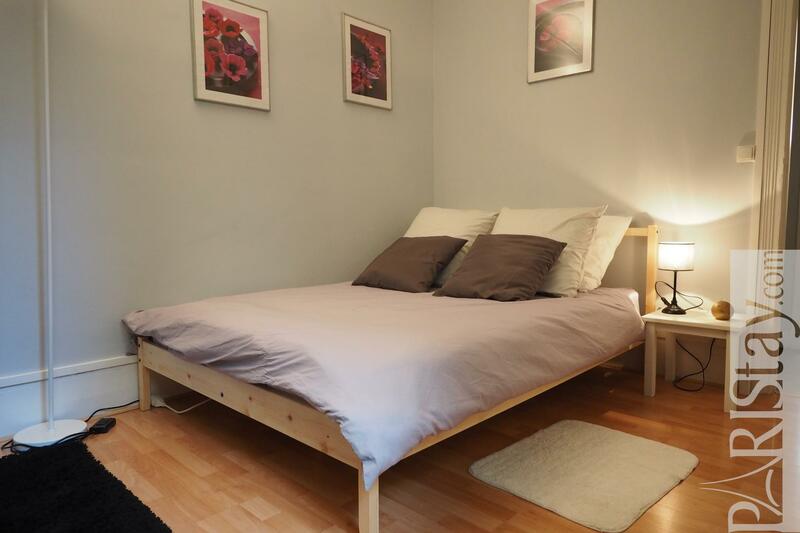 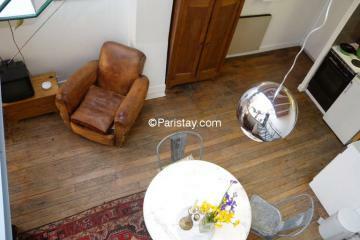 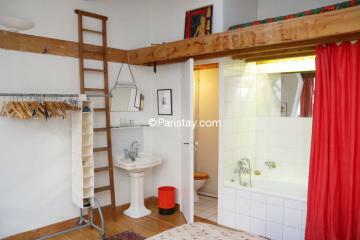 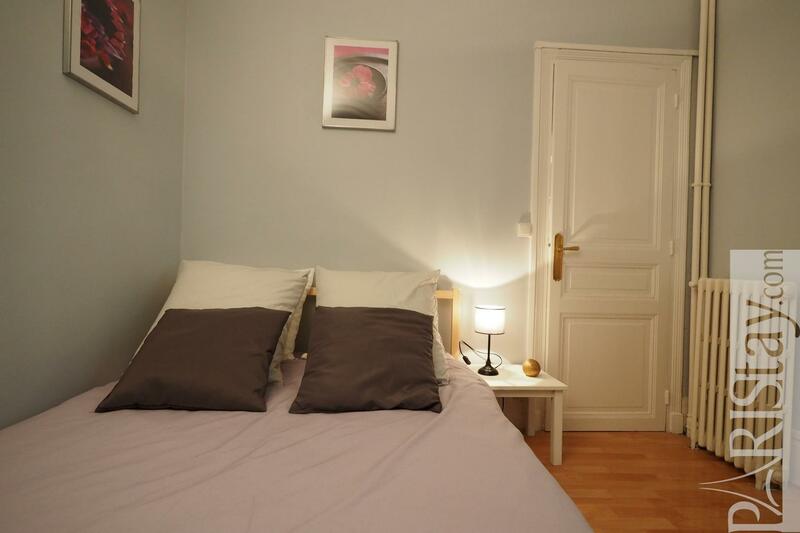 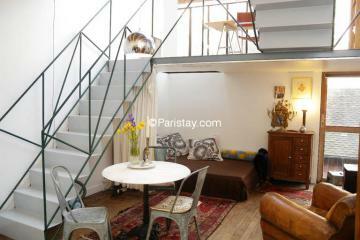 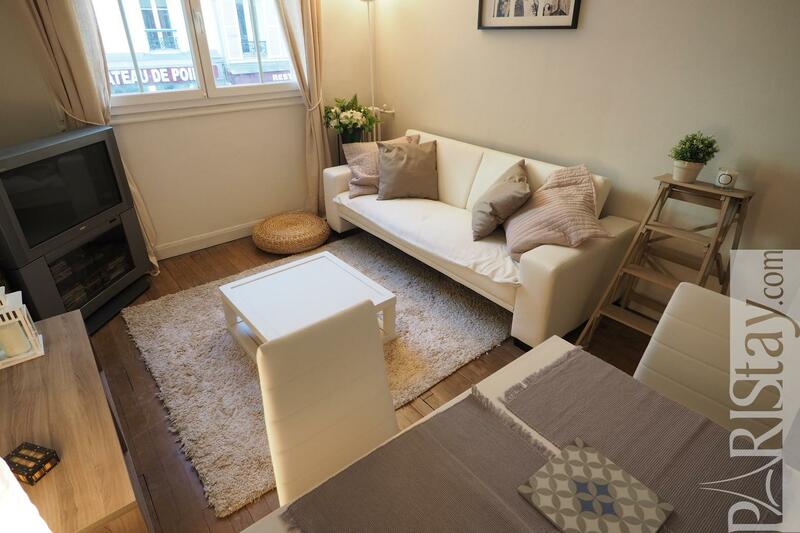 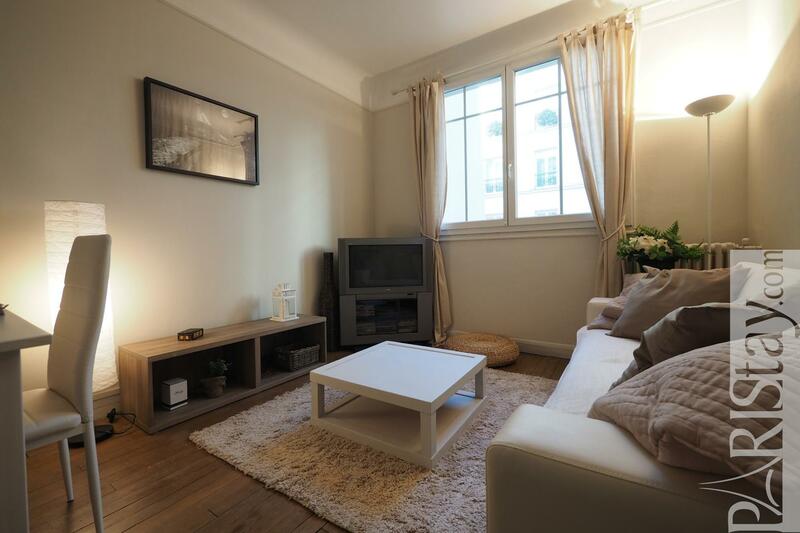 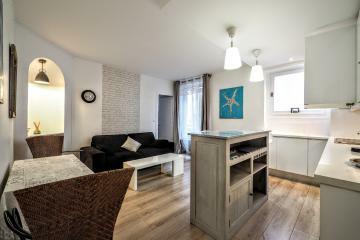 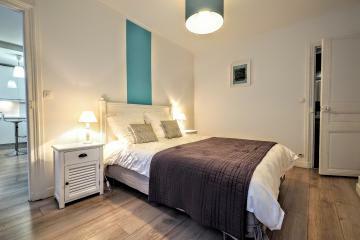 This flat has been equipped with quality furniture and offers everything needed for long stay rentals in Paris. 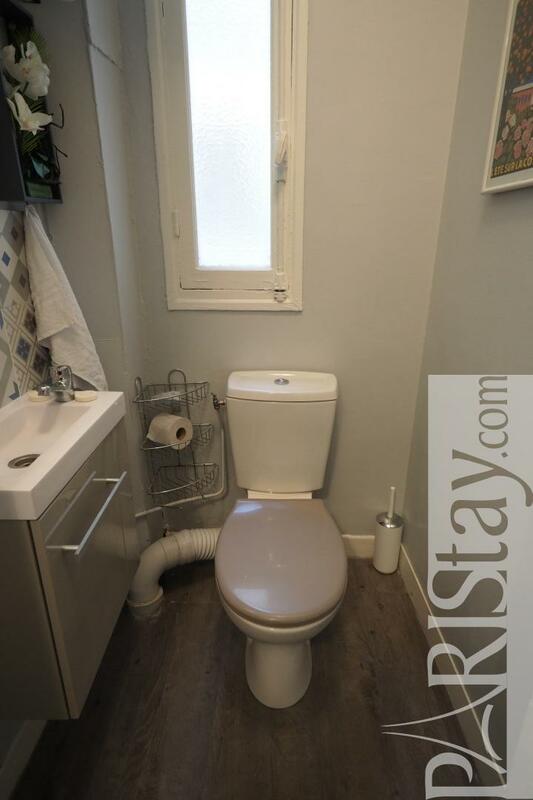 Heating, hot water and internet are included. 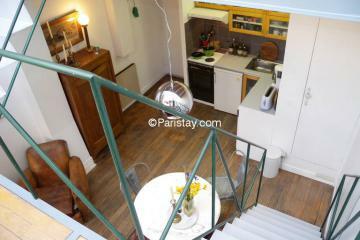 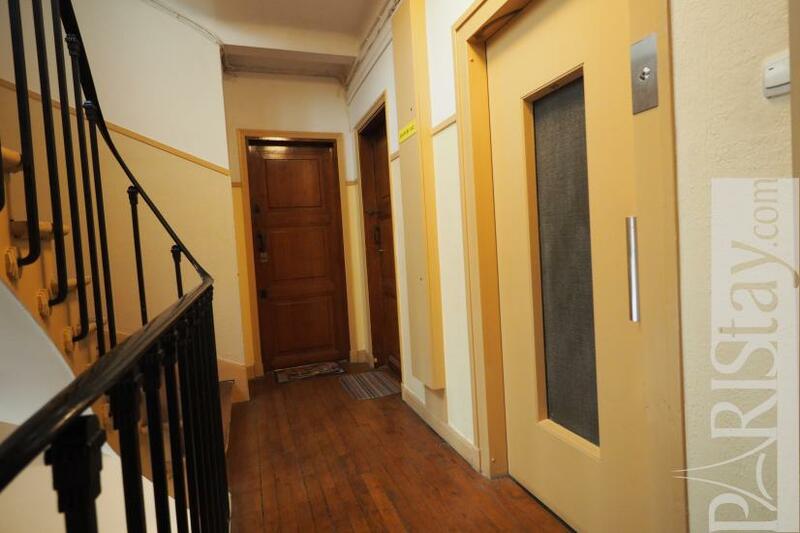 1 st floor, with Lift, 1 bedroom Appartement, furnished, Approx: 38m² / 409 Sq.Ft.